Throughout the year, Blossoming Bellies donates a portion of proceeds to local and national civil rights, women's health, and LGBTQ organizations. 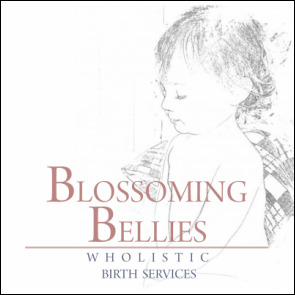 ​Since 2017, Blossoming Bellies has donated to organizations including Maternity Care Coalition, Planned Parenthood, NOW, Moms Clean Air Force, the Mother's Day campaign "Mama's Bail Out Day - Philadelphia," the Bread and Roses Community Fund, Valley Youth House, New Sanctuary Movement of Philadelphia, March for Our Lives, Improving Birth, RAICES, Philabundance, and the Mazzoni Center. birthing experience and offers guidance for birthing and parenting with knowledge and confidence. in the greater Philadelphia area. "An Easier Birth: Pelvic Dynamics and Fetal Positioning in the First Stage of Labor"
in the Nurses and Physiologic Birth track! Blossoming Bellies and Sweat Fitness have partnered up to offer a discount on birth classes to all Sweat members and a DISCOUNTED MEMBERSHIP to Sweat (all 8 of their locations!) for all Blossoming Bellies clients! Check out the details! as seen on CBS Philly! Stay up to date on new class offerings, local events, and resources. Sign up for Blossoming Bellies newsletter here!